Here’s your listing of free and discounted Kindle book offers in a variety of genres for Thursday: for those books listed as being free in this post – while the pricing of the free status is valid at the time of this posting, please make sure you check the pricing carefully before you press the “buy” button as it could revert back to paid status at any time! 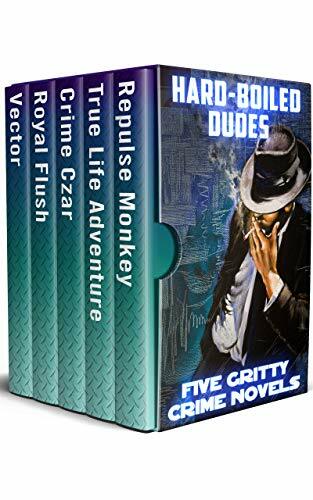 A muscular anthology of best-selling mysteries, Hard-Boiled Dudes showcases gritty, edgy, unexpected sleuths—a car mechanic, an ex-journalist, a reluctant lawyer, an ex-cop, and a small-town Hawaiian cop with a research scientist sidekick. Whether amateur or pro, these dudes come out swinging. From the deadly silence of a snowy ski resort to the buzzing swamps on Kauai, these five action-packed thrillers by award-winning authors are guaranteed to chill and thrill! A year following Alex Glauberman’s first brush with murder and mystery, he’s recovered from cancer and chemotherapy; he’s studying tai chi for its pleasures and therapeutic effects; life goes on. Then, in the space of a two-minute phone call, he’s ensnared in another mystery. Now the babysitter is missing, and her boyfriend is dead. Wise-cracking ex-journalist Paul Mcdonald’s main confidant is a cat named Spot; his best friend’s a burglar who’s trying to quit; his relationship status is commitment-phobic … so what makes this Great American Novelist-in-waiting think adding “P.I.” to his resume is a good idea? Well, his boss was just poisoned in Paul’s living room right in front of him, and then somebody broke into his apartment; now he thinks they’re trying to kill him. Finally Paul’s got a story he can sell, if he can catch the murderer before the murderer catches him. Tubby Dubonnet can’t forget the last words that escaped an old friend’s lips, and he can’t get out of the way of a political campaign that’s turning rough. Obsessed with the idea that a shadowy crime boss may be pulling the strings that have cost good people their lives, Tubby is entering into a test of courage with the most violent men in New Orleans. And as if that weren’t dangerous enough, he’s just picked up the worst ally he could ever find: a beautiful prostitute gunning for revenge. Unlicensed PI Jake Samson is understandably nervous about infiltrating a local Marin County neo-Nazi group called the Aryan Command. After all, he is Jewish. But when the doe-eyed teenage goddaughter of his oldest friend begs him to help her boyfriend–harebrained, reformed skinhead Royal Subic–Jake finds he can’t “just say no.” Royal, who’s too terrified to defect, is not only disenchanted with his recent brush with right-wing extremism (and a regrettable tattoo), he’s afraid for his life–and he has the murder of a Command member-turned-defector to point to for proof. As Jake investigates, a complex conspiracy begins to unfold, including a plan to assassinate an outspoken talk-show host, a complicated web of local police and governmental infiltrators (some of them dirty themselves), and a possible international connection. Detective Cobb Takamura’s idea of a busy night is a few drunken tourists and a jaywalker. That is, until the flood of killings begins, when suddenly the tropical paradise he calls home becomes a raging inferno of violence and bloodshed. Seemingly the victims—who all died screaming, of unknown causes, have nothing in common. ONLY a tough scientist and a clever island cop can stop a ruthless cabal from loosing a weapon potentially more lethal than nuclear war on an unsuspecting world! Click here to pick up your free copy of Hard-Boiled Dudes in the Amazon Kindle store. A simple man with a refined palate, maverick New Orleans lawyer Tubby Dubonnet has a penchant for fishing, Old Fashioneds, off-track betting, and fighting evil while passing a good time. Passing a good time, of course, includes dodging drug dealers, running from the mob, solving medical lab murder mysteries, thwarting hurricane season bank heists, and keeping a crime boss out of local politics. Now you can read his first five Anthony and Edgar-nominated thrilling adventures for free! Settle down — preferably with a hearty snack — and enjoy this hard-boiled mystery series that’s as chock full of laughs as it is chills! Meet lawyer Tubby Dubonnet. His clients are all renegades from the asylum (aka Orleans Parish), including a transvestite entertainer, a buxom deadbeat blonde, a doctor who refers his own patients to a malpractice lawyer, and a Mardi Gras reveler who drives a float shaped like a giant crawfish pot. His new client is Darryl Alvarez, the manager of a local nightclub who’s been caught unloading marijuana from a shrimp boat. At their first meeting, Darryl entrusts Tubby with an ordinary-looking blue gym bag. But after Darryl’s unfortunate demise, Tubby realizes he must tighten his grasp on the gym bag — and its million-dollar contents. Tubby can’t just give up the cash. But if he gets caught, he’ll be in jail. And if the wrong people catch him, he’ll wish he was. Tubby Dubonnet is bored. He wants to bill enough hours to pay his alimony and keep his daughter in college, with enough left over for an occasional drink and a good meal, but he longs for something different and exciting. Sure, researching licensing law for the new casino will keep trout meunière on the table, but what could be more tedious? (Unless, of course, the client turns out to be connected.) Meanwhile, there’s the estate of an old friend who controls some dock leases on the wharf. And he agrees to help his daughter’s environmental group stop illegal dumping in the river. Ho-hum, thinks our hero. But suddenly all three cases begin to converge in an entirely ominous way… NOW Tubby’s doing something exciting — he’s running for his life! Medical lab janitor Cletus Busters is caught red-handed in a restricted area with the frozen head of Dr. Whitney Valentine, one of the lab’s most prestigious researchers. Busters won’t say much, except that he’s innocent. But given his conspicuous record and past as a voodoo guru, all signs point to life in prison. To out-of-town kingpin Willie LaRue, Mardi Gras seems the perfect time for a New Orleans heist – nobody, but nobody will be thinking about a single other thing. Parties, parades, chaos, alcohol – who could be concerned about a little thing like a bank job? Indeed, all might have gone well except for an out-of-season frog-flogger that threatens to flood the French Quarter – something even Hurricane Katrina couldn’t do. Next thing you know the survivors – thieves and revelers alike – find themselves marooned together. As the LaRue gang plans its watery escape, raffish lawyer Tubby Dubonnet is obliged to take time out from his customary eating and loafing to thwart their murderous intentions. 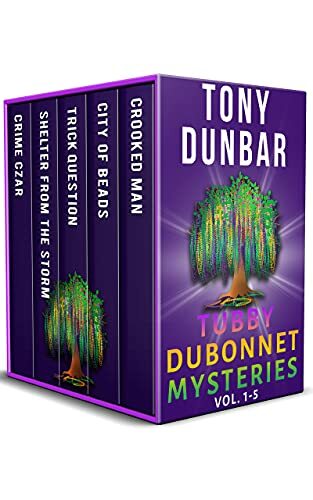 Click here to pick up your free copy of Tubby Dubonnet Mysteries (Vol. 1-5) in the Amazon Kindle store. The discovery of a valise of old letters written to his Armenian grandfather from an Auschwitz survivor starts Avi Arutiyan on an odyssey to uncover the mystery surrounding his grandfather’s unsolved death. 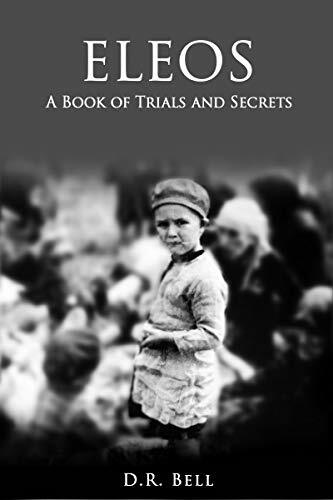 From the killing fields of Anatolia to the trial of Adolf Eichmann, Avi’s quest opens a door into intersecting paths and dark secrets of three families, stretching back to 1915. Click here to pick up your free copy of Eleos in the Amazon Kindle store. When their South Carolina home burns to the ground, Anna Stewart’s only choice is to move with her younger brother to the wilds of a Texas ranch. Their prospects are beginning to look better, until the rancher’s son, Jacob O’Brien, shows up with his alarmingly blue eyes to put a kink in Anna’s well-controlled plans. When danger escalates in the form of a band of cattle thieves with deadly intent, can Anna learn to release control to God’s capable hands…and those of the blue-eyed cowboy who’s stolen her heart? 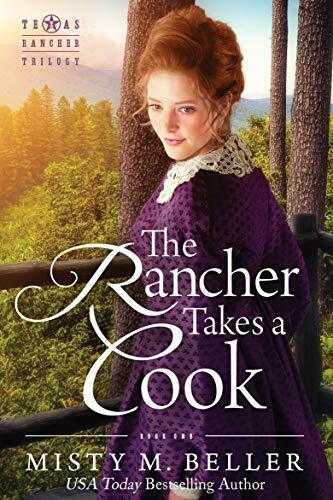 Click here to pick up your copy of The Rancher Takes a Cook in the Amazon Kindle store. 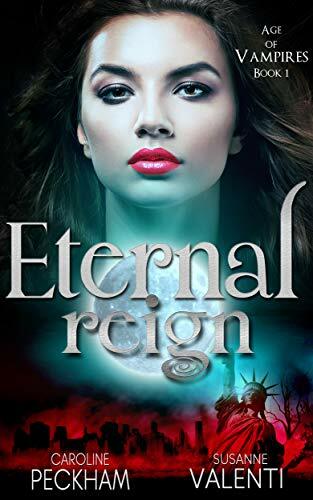 Click here to pick up your copy of Eternal Reign in the Amazon Kindle store. A sensitive woman fears insanity. An intuitive Homicide Detective tries to unravel the truth of what really haunts her… Liddy Barron, an artist, was injured in a hit-and-run accident that left her with recurring nightmares, partial amnesia, and an increasing obsession in the disappearance of a coed named Sasha Perry. Was Sasha murdered? Insecure and nervous, Liddy’s turmoil grows as she begins seeing ghostly images. Her husband Paul tries to help but suspects it’s just her imagination…while Detective Kerri Blasco, also obsessed with young Sasha’s disappearance, senses that Liddy may have a key to solving the case. 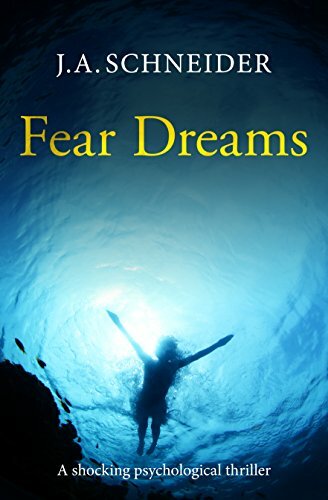 Click here to pick up your copy of Fear Dreams in the Amazon Kindle store.